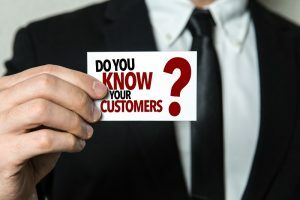 One of the keys to increasing sales is getting under the skin of the prospect or your customer, so ascertain the real needs and to get them to understand how they can improve their business using your solutions. Without that depth of knowledge, you sound just like any other vendor, trying to persuade your prospect to buy from you rather than someone else. To get to that deep level, you need to establish a relationship with the prospect, building up trust and enabling the openness that will lead to establishing emotional and logical connections that will drive decision-making. 1) What do you put your past successes down to? The answer will help you see what direction the buyer is coming from, and accentuate any positives they have experienced in the past. It will also help you to see if you can replicate the successes in the future. 2) Where are you currently in the buying cycle? This will give you clarity on what the next decisions are going to be in the buying process and stops you from going too fast too soon. You will also be able to recognise what the next steps might be so you can determine what to say and do. 3) What kind of relationship do you wish to have with your suppliers? This question is rarely asked but gives you a wealth of information. Do they just want to keep in touch spasmodically or do they want a weekly catch up? Do they see you in a consultative relationship that will blossom as time moves on, or do they see you as a purveyor of products and no more than that? You can then pitch your contact process at the right level for them and for you. 4) What goals and objectives do you see the company achieving in the next two to three years? Here, you are attempting to ascertain where the company is going and what the prospect feels are legitimate goals for the foreseeable future. This can help you start to build ideas on how your products can assist in the development of those plans and how you personally can help them achieve those objectives. 5) What are the main issues you will be facing that will affect how well you perform in the next few months? This will help you get clear on the challenges they feel they will be facing in the short-term, and help you understand the confidence (or lack of) that will affect their decision-making. If the challenges they face are surmountable, they won’t be that much concern about changing direction; if the issues are causing them concern, you may wish to change tack in your working relationship with them. Each of these questions go deeper than you may have done before, and they help you really understand what direction the prospect wants to go with you in the future.